in under 3 minutes for any day, any time and occasion! If there is anything you should know about San Jose Party Bus, it's that we know how to roll with the best of them. Our party buses are decked out with the latest upgrades-- including flat screen TVs, DVD, state-of-the art sound system, music hook up, dance pole, wet bars, fiber optic lighting, hardwood floors, soft leather seating all around, and more. Don't be fooled by the appearance on the outside. 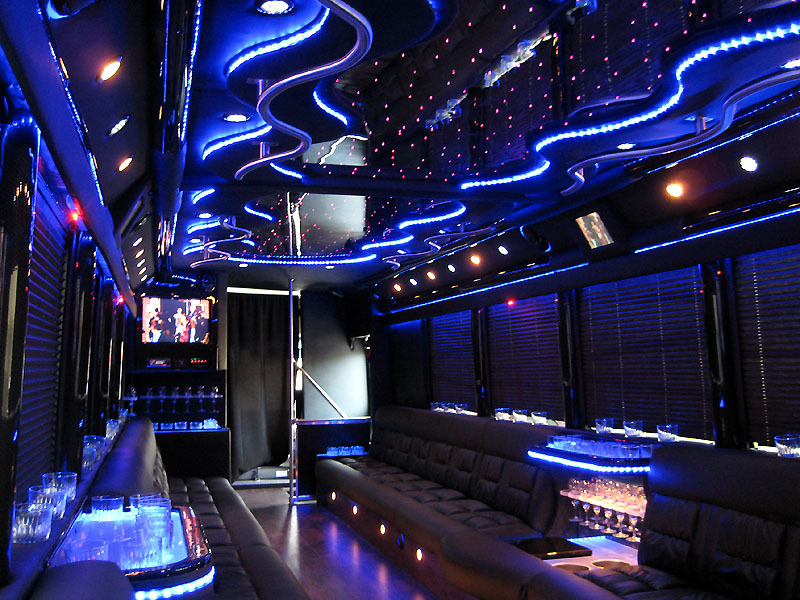 When you step into one of our custom-made buses, you will feel like you've stepped into a night club. Get the music started, pop a bottle of bubbly, and get down on the dance floor! We service all parts of the Bay Area beside the South Bay, including San Francisco, the East Bay, the Peninsula, North Bay, the Napa Valley area. Our buses are perfect for any occasion. Rent us for your prom, your bachelor or bachelorette party, birthday, a wine tour to Napa, Sonoma or Livermore, a sporting event, concert, brewery tour, corporate, and any place you wish to go we can get you there! 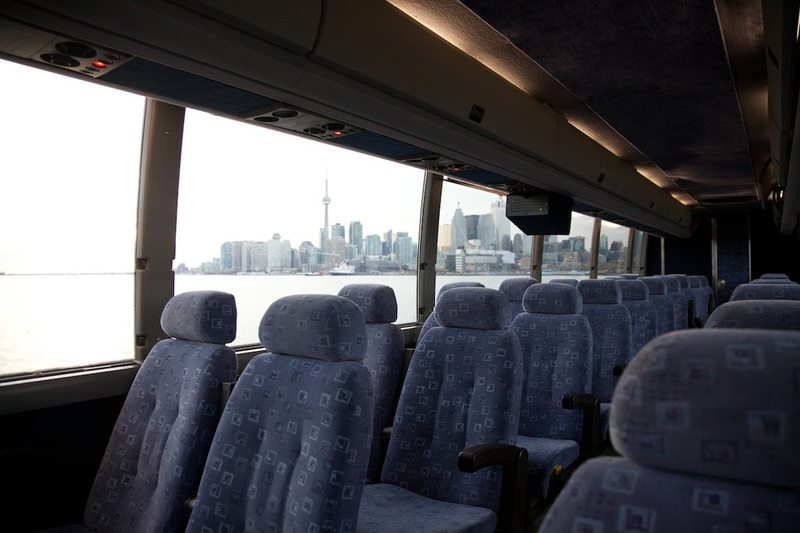 While the buses are great for a party atmosphere, it can also be used for more casual travel for group tours and activities. Besides party buses, we also provide charter buses for those who prefer the more traditional form of transportation. All of our buses are fully insured and licensed, with regular inspections and maintenance performed for ultimate safety and comfort. Our drivers are fun, courteous and professional and will ensure that everybody on board has a great time and gets around safely. Our prices are unmatched. We price competitively to allow our customers accessibility to our fabulous buses. We are proud to offer not only spectacular services, but great rates to match. We value our customers. We treat every customer like personal friends and family. When you ride with us, you will receive personal VIP service from our staff and crew. This is our way of showing how much we appreciate your business. Repeat customers. It's no surprise that when you deliver exceptional service to your customers, they come back. We take great pride in having a high rate of repeat business and customers returning to use our buses for other events and occasions. Our buses are tricked out. 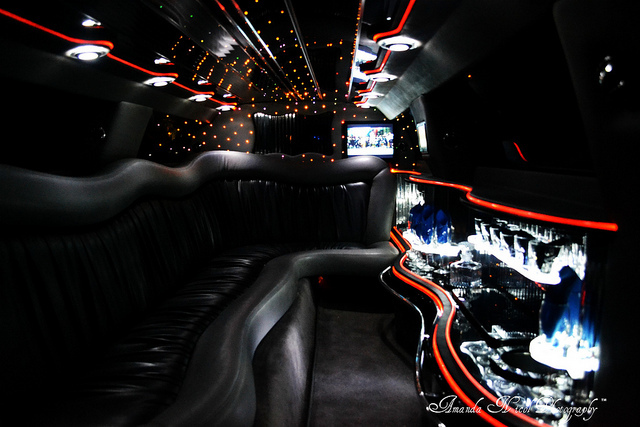 Our party buses come with all your favorite amenities to keep everybody happy and entertained. Who needs a night club when you've got your very own party on wheels! We have a great safety record. With safety as our number one priority, we take great measures to ensure that every person on our bus has fun in as safe manner as possible. We restrict underage drinking and maintain our vehicles for safe transportation throughout the Bay Area. Professional, polite, and punctual. That is what you can expect from our drivers. 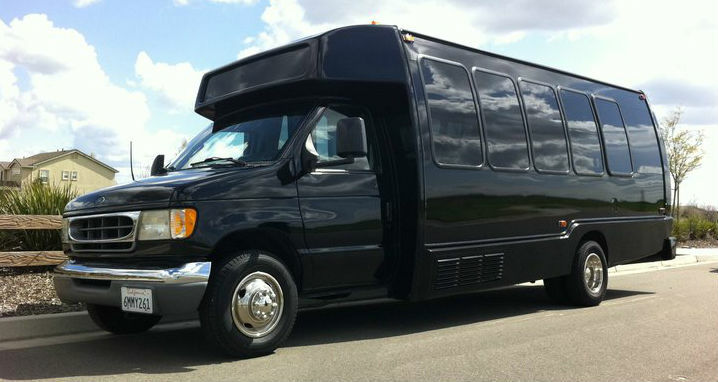 With many years of experience, they are dedicated to delivering amazing party bus services to you and your friends. Our staff is readily available to answer your calls and take questions about our buses, rates, and services. 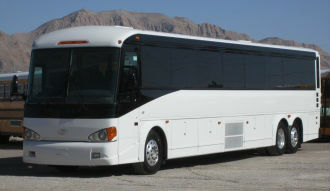 Our team is committed to finding the perfect bus for your exact needs, budget and occasion. We have buses of many sizes and seating capacity that you are sure to find the perfect one for your group. So call us today! We look forward helping you find the best party bus that San Jose has to offer!